A widget that display a header, composed of a title, an image and a description. A title (cf. setTitle), displayed in bold and in blue by default. 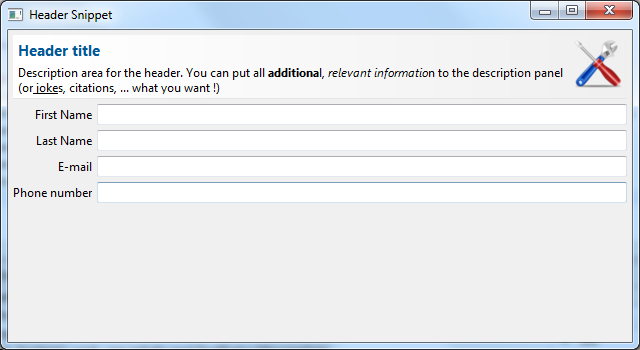 An example called HeaderSnippet.java is located in the plugin org.eclipse.nebula.widgets.opal.header.snippets. This page was last modified 09:26, 21 February 2018 by Laurent CARON.